Donna Marie Johnson, age 56, of Wilmington, Delaware passed away at home on Thursday, September 13, 2018 surrounded by her loving family and friends. Donna was born on September 11, 1962 in Cambridge, Maryland, the daughter of Philip and Jean (Lungsford) Johnson of Clayton, Delaware. She earned her Associates Degree in Applied Science and also earned an Associates Degree in Allied Heath Medical Assistant. She was a member of Phi Theta Kappa Honor Society. 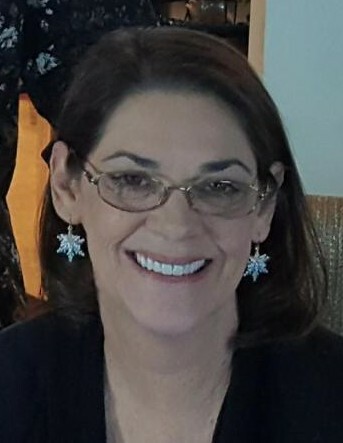 In addition to her parents, she is survived by three daughters, Dawn and Jennifer Stauffer, both of Port Richie, Florida, and Rebecca Blevins of Bunker Hill, West Virginia; a brother, Philip Lee Johnson of Hampstead, North Carolina; a sister, Sharon L. Faries of Smyrna, Delaware; and four grandchildren. The family would like to extend a special thank you to Marcy and Billy Perkins. Memorial services will be held at 1918 W. 9th Street, Wilmington, Delaware 19805 on Saturday, October 27, 2018 at 1 pm. In lieu of flowers, contributions may be sent to Friendship House, Inc., PO Box 1517, Wilmington, Delaware 19899.